Why not have guests stay in your home while you travel and use the income to cover the costs of being away? When you offer your home to other smart travelers, you’ll be able to travel even more. It’s easy. We do all the work. We take care of everything. And I do mean everything. Like other great accommodation sites Fine Ljubljana Apartments (FLA) guarantees bookings and paying guests to our member hosts. But unlike other online referrers, we do all the rest of the work for you too. Renting your home is completely hassle-free. No chasing after bookings, losing hours on rental sites, adapting your day to guest arrivals, being there for them when they need help, or cleaning after they leave. All of this, and everything else, is our job. Your job? You just have to have your bags ready when the day comes for you to leave town and follow the sun or snow. 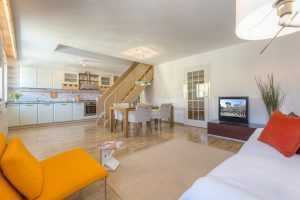 When you get back, your home will be exactly like it was the day you left–and also sparkling clean, and neat and tidy. It’s safe. And you’re in control. Your home is your castle. We know how much your home means to you and potential guests will be aware of that too. In a way, they’ll have to earn the right to stay in your home with how they present themselves. Think of FLA as an exclusive travel club. Not just anyone can get in. You’ll have the right to decide whether to accept any offer that we get for you… or not. You’ll be in control. Still not sure you want to do this? I understand. It’s not a decision to be taken lightly. But please stay open to the possibilities. There are two reasons why owners of all types of homes, even some of the most stylish, high-end ones, open their doors to selected travelers for a few weeks or months a year. There’s a high demand for chic, authentic homes. People are tired of boring hotels. They want to stay in a beautiful, charming, and spacious apartment or house. And they’re willing to pay good money for it. There’s something cool about it. Travel and hospitality are big industries and being a part of them is exciting. People just like you are doing it all around the world. If you live in Ljubljana and have a charming home located in a top neighborhood (preferably the Old Town) we’d definitely like to hear from you. Please tell us about it in the contact form below. 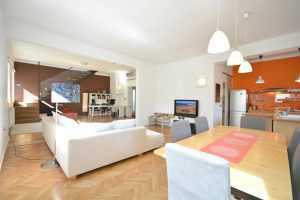 Check out this fine FLA apartment: Be A Host – Apartments for Rent in Ljubljana.